You will instantly receive your license via email. 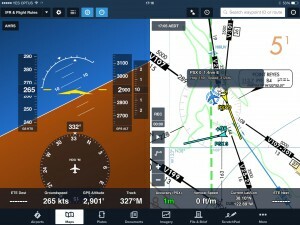 This PSX addon transmits position, altitude, speed and attitude to the Foreflight iPad application. Usage is very simple: Start the jar, then enter PSX’s address or leave as localhost if running on the same computer. It will immediately start to broadcast the data Foreflight needs to display both the attitude indicator as well as the moving map display. Select the “Broadcast PSX traffic” option if you want the PSX generated traffic to appear in Foreflight as well. This would use the broadcast address 1.2.3.255 to send the PSX data. – Now limited to a 10 minute free demo with cheap annual licensing.